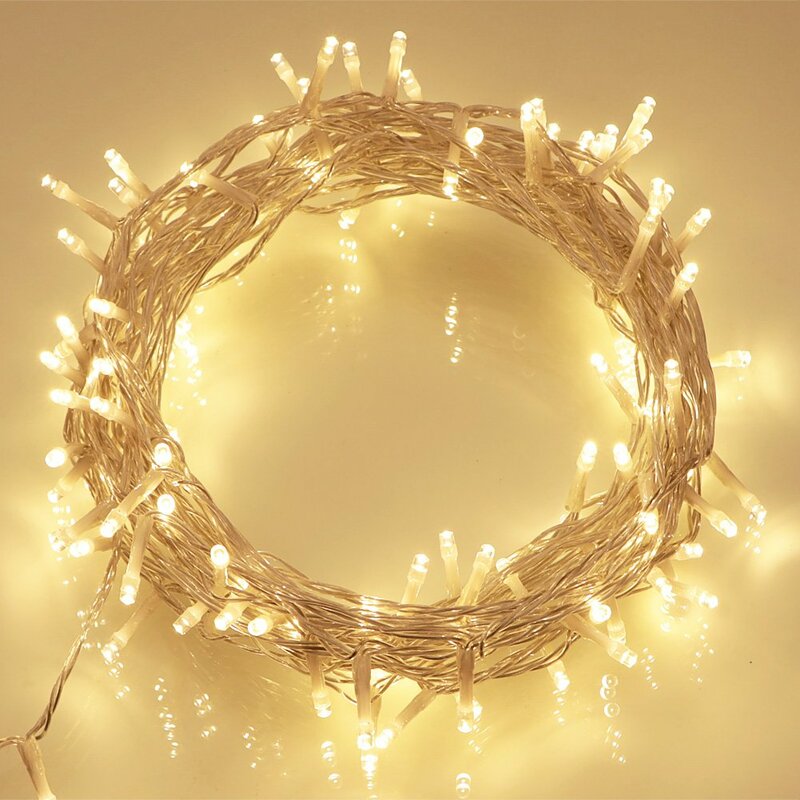 Home › [Remote & Timer] 100 Led Outdoor Battery Fairy Lights (8 Modes Dimmable Ip68 ..
KooPower 100 LEDs battery-operated weatherproof string lights can be used indoors or out without trailing cables or an external power supply. Variable mode (8 Modes) and brightness settings provide the perfect solution for your decorative lighting needs. Dust- and waterproofing to IP 65 level makes these lights suitable for use in conditions where dust, rain, spraying water, snow or frost are likely. Perfect for use at Christmas, Easter, other celebration events or simply to give your home a novel warm inviting glow. Color: Warm White 100 LED KooPower Waterproof Battery Fairy Lights with Remote and Timer - To Brighten Your Home and Garden KooPower is a professional company specialising in KooPower branded LEDLights and consumer electronics. KooPower Waterproof Battery Operated LEDLights not only can be used in anywhere (Indoor and Outdoor) you need soliberate your sockets, but also comes at an irresistible price. They lightyour home and Garden at night and look fantastic. Perfect for Christmas,weddings, party, festival, garden, kicthen and etc. Features: 8 Light Effect: 1. Combination 2. In wave 3. Sequential 4. Slo Glo 5. Chasing/Flash 6. Slow fade 7. Twinkle/Flash 8. Steady on Timer Program Once selected, the lights will turn on in the pre-programmed timing sequenceof 6 hours on, 18 hours off over each 24 hour period. Timing sequence willcontinue until switched off or battery power is depleted. Dimmable Press DIM- or press DIM+ of remote control to adjust the brightness of thelights Weatherproof IP68 Waterproof Rating, can be used for outdoor Clear Cable Mounted in a clear cable, these LED lights provide an elegant tone and subtlewarmth to your decorations. Certification: CE & ROHS; Package content: 1 x KooPower 11M 100 Led Outdoor Battery Fairy Lights Warm White 1 x Remote Control Tips: 1. By pressing OFF and then ON, the previous or current mode will be selected 3. How long the lights last depends on batteries so we suggest you select highquality batteries.